In PART ONE, I spoke of restoration. But sometimes a building passes the point of no return (or of no repair). When I lived on Woodchuck Hill, we had an old barn. The silo was gone… one of the first memories I had was when my dad pulled over the silo when I was about 3 years old. When my dad died, we sold the house and outbuildings to my cousin. Years later, I spoke to my cousin. 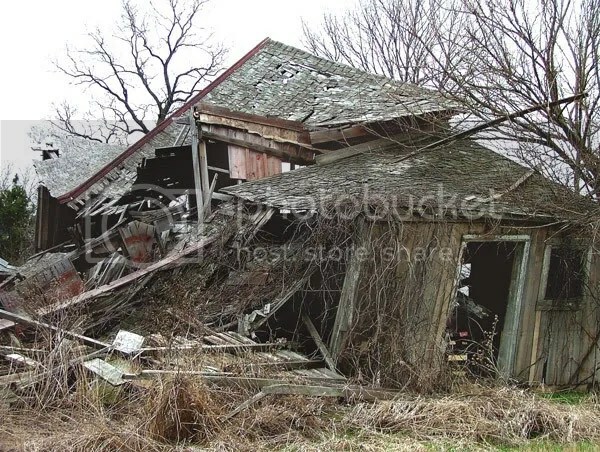 I mentioned to him that the barn is getting pretty old and harder to maintain. I said that if it looked like he would be unable to maintain the barn, have it disassembled to have the timbers reutilized. Within a couple of miles of our house were several barns that had collapsed under their own weight and were rotting into the ground. My cousin had to move and so the barn is owned by another. It still is standing. Someday, however, it will give way. It would be shame if it just rotted to nothing. Why? The barn is sneaking up on being 150 years old. It is big and made of massive white pine timbers. These white pine timbers were cut from virgin forest. Such trees essentially do not exist anymore (at least EXTREMELY RARE). These trees that were used date back before the American Revolutionary War. Entirely possible that some have rings dating back to Columbus. It would be a tragic waste to lose these timbers. In missions, things fall apart as well sometimes. Sometimes a person crashes or a ministry is destroyed. Sometimes restoration is not a viable option… but redemption is still possible. Redemption has to do with creating good where there was bad, beauty where things were only ugly. In redemption, when things cannot be restored, they can at least be repurposed. Are we able to look at the difficulties that come our way and see them as hopeless… as failure? Or can we see the possibility of God making ALL things beautiful in His time. A minister who has failed or a ministry that is rotting away is sure to have some components… timbers… that are valuable and unique. These should not be lost. Can we restore what is broken? Can we repurpose what has been destroyed?